Hakuba accommodation is typically geared towards the more traditional Japanese style compared to that of some of Japan’s other popular ski holiday destinations. 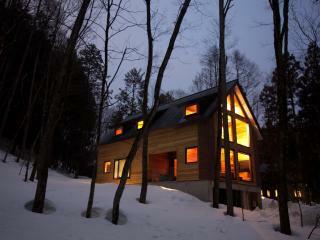 However western style apartments and chalets are available and more are being developed each year. Much of the hotel accommodation is typically Japanese with smaller rooms and bathrooms compared to what western standards allow, however rooms are clean and comfortable and are the perfect place to grab some rest after a big day on the slopes. If you really would prefer the space and luxury of more western style accommodation you’ll need to be prepared to book early and pay accordingly as these are in high demand, with prices comparable to other popular international ski destinations. 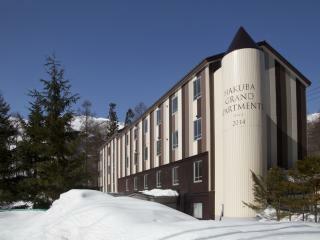 Located just a short stroll from Japan’s largest ski resort, Happo One, Hakuba Grand Apartments offer spacious, self-catering accommodation in the prestigious Wadano area of Hakuba Village. 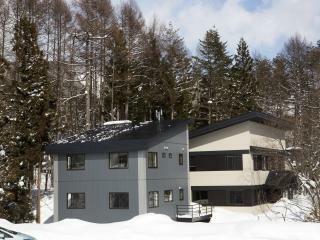 Home to a convenient range of onsite facilities, the property is conveniently close to a variety of local bars, restaurants and onsen and is just minutes from Hakuba Happo Bus Terminal and JR Hakuba Station. Ideal for skiers of all abilities, the property is within walking distance of the beginner Sakka Slopes and the Evergreen Ski School as well as the Kokusai lifts and Evergreen Guiding Centre, ideal for intermediate and experienced skiers. Located just a short stroll from the Hakuba Happo One ski resort, Hotel De Laile offers spacious, comfortable accommodation right on the slopes of Happo One. Away from the crowds of the main ski resort, the charming property is a smaller hotel and is the ideal place to rest and relax in peace after a big day on the slopes. 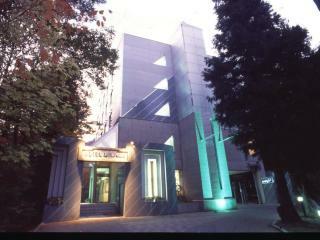 Boasting ski-in ski-out access, the hotel is just 200m from the bus stop for the complimentary shuttle service and is also just a short walk from the Happo Sakka Slope and ticket office and offers onsite ski equipment rental. Enjoying stunning views of the majestic mountains of Hakuba’s Northern Alps, Hotel Goryukan offers comfortable, spacious accommodation just minutes from the Happo One ski resort. 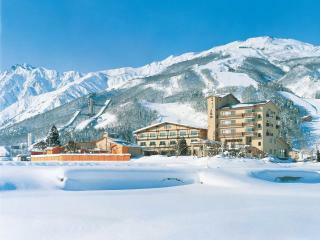 Situated on the outskirts of the Happo Village, the hotel is just a short stroll from the closest ski lift and features a large open lobby area that faces directly to the ski slopes. Home to a convenient range of onsite facilities, the hotel is close to a variety of shops, bars, restaurants, dining and entertainment options in the nearby village and is serviced by a complimentary shuttle bus to make getting around the local ski area both easy and affordable. 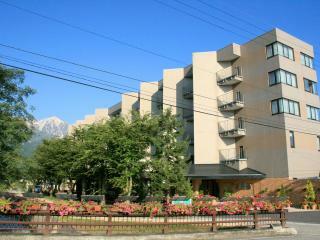 Situated in a quiet and peaceful location at the foot of Shinshu near the Otaru river, Hotel Hakuba offers comfortable, self-catering accommodation in the heart of Hakuba Villas. Just 12 minutes’ drive from Happo One ski resort, the hotel offers a lodging style to suit all visitors and is home to a convenient range of onsite facilities. Featuring traditional Japanese rooms as well as western style rooms, the hotel offers all the luxury of a resort experience with all the friendly service and affordability of a smaller property. Offering the unique accommodation concept of ‘a hotel in the forest’, Hotel La Neige Higashi-kan offers beautiful accommodation just minutes from the Happo One gondola. Set in a 3.3 hectare forest, the hotel features architecture designed to seamlessly blend with its stunning natural surrounds. The hotel has a European feel and is home to a great range of onsite facilities including ski equipment hire, ski passes, ski school and ski storage as well as a convenient complimentary shuttle service. Surrounded by stunning trees, some over 100 years old, the hotel enjoys a relaxing accommodation experience in the stunning Hakuba forest. Located within a few feet of the ski slopes, Hotel Moegi offers great comfortable accommodation right at the base of the Happo gondola. Ideal for skiers and snowboarders, the hotel is set in one of the best locations in Hakuba and enjoys easy access to some of the region’s most popular ski spots. The well-maintained property offers a good variety of rooms and is home to a convenient range of onsite facilities, making it the perfect place to rest and relax after a big day on the slopes. Close to Hakuba Village, the hotel is just minutes from a variety of bars, restaurants and public onsens with plenty to explore when you’re ready to take a break from the snow. Located between the Hakuba 47 and Happo One ski areas, Hotel Traumerei offers cosy accommodation in the famous nightlife and après ski district of Echoland. 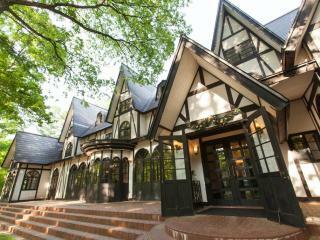 Surrounded by tall trees, the hotel features a Tudor style building with a charming old fashioned interior featuring white walls and rich dark woods. 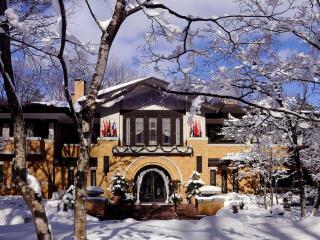 The boutique French hotel is situated on the main street of Echoland and is famous for its excellent onsite restaurant. Just minutes from the Hakuba Koruchina Ski Area and Happooike, the hotel is surrounded by a great range of shops, bars, restaurants and onsens. 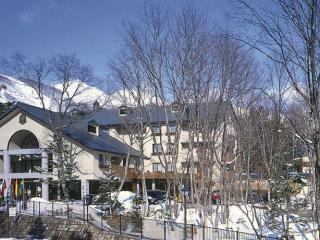 Located within easy walking distance of the main Happo One gondola, Hakuba Springs Hotel offers basic, comfortable accommodation in the heart of Happo Village. A western style hotel, Hakuba Springs is home to a convenient range of onsite facilities including a complimentary shuttle service to a number of local area ski resorts. Featuring large, comfortable bedding the hotel is surrounded by a great range of shopping, dining, bars and hot spring onsens and spas and is the ideal place to rest and relax after a big day on the slopes. Located in the famous nightlife hotspot of Echoland, Le Bocage Hakuba Chalets offer spacious, self-catering accommodation in the heart of Hakuba. Surrounded by the Misorano area, Echoland is situated between the Hakuba 47 and Happo ski areas and offers the region’s highest concentration of shops, bars and restaurants making Le Bocage the ideal accommodation option for après ski enthusiasts. Home to a convenient range of onsite facilities, the property is within walking distance of Echoland village and offers a complimentary shuttle service to many of the surrounding major ski resorts. 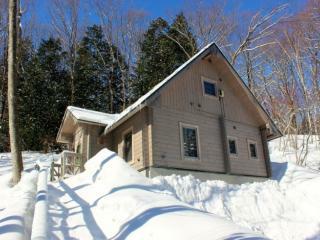 Located in the heart of the Hakuba ski village nestled in the Wadano forest, Maki Cottage is a detached property next to Phoenix Hotel. Ideal for families and groups, the cottage enjoys access to all the Phoenix Hotel facilities offering all the peace and privacy of a private residence with the convenience of hotel amenities. The 116m² 3 storey cottage features 3 bedrooms, 2 bathrooms and a full range of self-catering facilities including 2 spacious living areas, a modern kitchen and dining area and full laundry facilities. Using the warmth of wood as its signature décor, the cottage is located within walking distance of the ski slopes and is also close to local ski resorts, bars and restaurants thanks to complimentary shuttle services. One of the best located properties in Hakuba, Marillen Hotel is one of few true ski-in ski-out accommodation options right on Nakiyama slope. Offering comfortable, cosy accommodation with private ensuites and large western style beds, the hotel is ideally located right at the bottom of the Happo One ski slopes and enjoys a great range of onsite facilities. Just 10 minutes from the Hakuba train station, the hotel offers a complimentary shuttle service and is just a short walk from a variety of bars, restaurants and onsens within Hakuba village. An Austrian-style alpine chalet in a stunning mountain location, the variety of rooms and bedding configurations is ideal for solo skiers, couples and families. Located within minutes of Hakuba Station, Mominoki Hotel offers comfortable, western style accommodation in between the snow peaks of the Hakuba Valley. Situated in centre of the Lower Wadano Village, the hotel is within walking distance of the nearest lifts at Kokusai and the Happo One ski resort. Offering stunning forest views, the hotel is right next to the Evergreen backcountry ski tour centre and is close to the Rhythm shop ski and snowboard rental. Home to a great range of onsite facilities, the hotel also offers the convenience of a complimentary shuttle service to the nearby station and bus terminal and is close to a variety of shops, bars and restaurants. A supremely impressive ski chalet, One Happo combines location, space, size, amenities and total exclusivity to offer the ultimate one off accommodation experience. Enjoying views of the Olympic rated slopes and main resort gondola of Happo One as well as stunning views of the Wadano forest, the lifts are just 100m from your doorstep making One Happo the most accessible world-class snow resort accommodation. 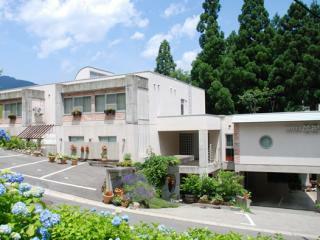 The 500m² residence offers 5 bedrooms and 5.5 bathrooms spread over 3 storeys and features completely luxurious facilities including a kitchen and bar, dining and living area, lounge and games area, deck, stunning wine room, gymnasium, boxing dojo, spa onsen, drying room and laundry room. Located within a short walk of both the Kokusai and Happo ski lifts, Phoenix Chalets offer luxury self-catering 2 and 3 bedroom chalets, ideal for groups and families. Close to shuttle bus pick up points, the chalets enjoys a great range of onsite facilities and a personalised alpine experience. Your beautiful home away from home, the chalets are nestled amidst beautiful snow-covered forest and seamlessly blend Japanese elegance with high-tech modern comforts. East meets west at Phoenix Chalets with the property generously interpreting the concepts of space and luxury. Located in Wadano no Mori in the heart of Hakuba’s ski village, Phoenix Hotel offers exceptional service and beautiful boutique accommodation in the ultimate alpine home away from home. Belding western style rooms with traditional Japanese, the hotel is conveniently close to the shuttle bus pick up point and the ski lifts of Kokusai and Happo. Home to a great range of onsite facilities, the hotel seamlessly blends Japanese elegance with high-tech modern comforts for comfortable yet contemporary rooms nestled in picturesque snow-covered forest. Setting a new benchmark for luxury in Japanese ski lodges, Phoenix One offers picturesque views of snow-capped mountains and ski slopes in the heart of one of the finest ski resort in the world. Boasting a striking glass frontage, the 4 bedroom 3 bathroom residence offers premium amenities and all the comforts you’d expect of a world-class rental including an open plan interior, cosy living area, eco-smart fireplace, full kitchen facilities with double Miele oven, built-in Nespresso machine, under-floor heating, granite Japanese hot tub and an 8-seat 4 wheel drive for guests private use, all within close proximity to the resort’s principal lifts. Located at one of the best addresses in Wadano, Sky Park Happo offers spacious, self-catering accommodation right next to the Happo One lifts. Boasting stunning mountain views, Sky Park is a well thought out property in a premier location offering a luxury accommodation experience in one of Hakuba’s most picturesque neighbourhoods. Situated within walking distance of a variety of local shopping, dining and leisure options, the property is home to a convenient range of onsite facilities close to bars, restaurants, supermarkets and thermal hot springs. Enjoying ski-in ski-out access, Sky Park has been built with skiers in mind just footsteps from the Happo Sakka Quad Express Chair Lift. Located just a short stroll from Happo One ski resort’s Kokusai chairlift, Tokyu Hotel offers comfortable, western-style accommodation in the picturesque Wadano area. Also situated just minutes from Tsugaike Park, the hotel offers bus stop at the door for ski shuttle to other resorts and easy access to day and night shuttle services to and from a variety of Hakuba’s most popular ski areas, bars, restaurants and après ski destinations. Home to an excellent range of onsite facilities, the hotel is also just a short drive from JR Hakuba Station and the Happo One Bus Terminal, making getting there easy. Surrounded by beautiful trees and wildlife, Yuki-Ki Lodge offers private, self-catering chalet accommodation in the picturesque forest behind the Happo Olympic ski jumps, away from the crowds of the main ski resort. Translating to Snow Tree Lodge, the property is an intimate cedar post and beam chalet tucked away high in the Japanese Alps, yet conveniently located within a short walk of a variety of bars, restaurants and entertainment in Happo Village and the spectacular skiing of Happo. 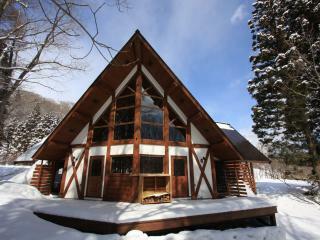 Featuring a full range of facilities, the property offers an 8-seater 4WD for the complimentary use of guests and is just a short drive from 10 other popular ski resorts including Iwadake, Cortina Kokusai, Hakuba 47 and Goryu.